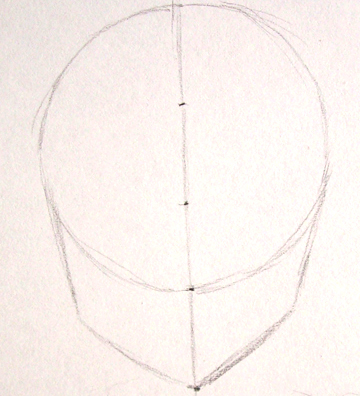 With one side finished, you just have to draw the opposite side in exactly the same way since we are drawing a female face looking forward. 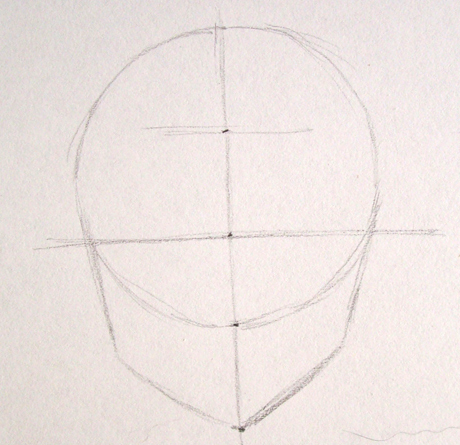 Now, we trace some horizontal lines. The upper one will indicate the place where the hair begins. The one in the middle will help us place her eyes.